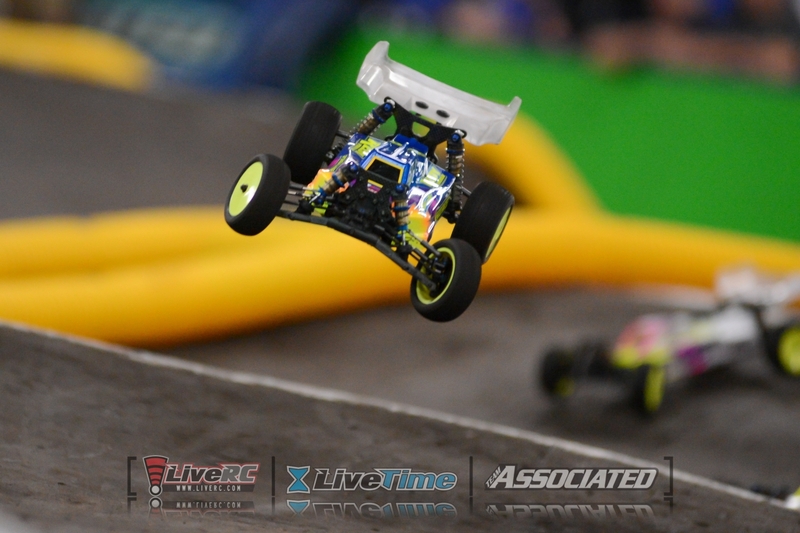 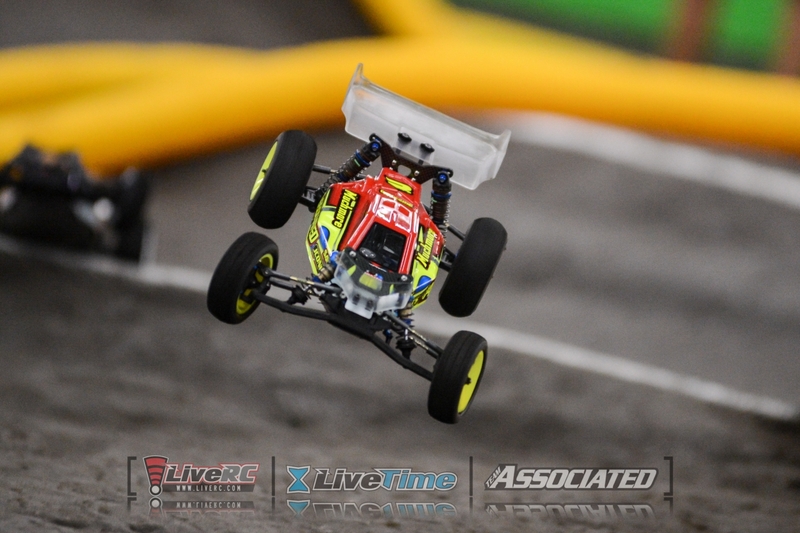 Last weekend, Trackside Hobbies and Raceway hosted 149 drivers totaling 330 entries over nine different classes for the Team Associated Off-Road Championships. 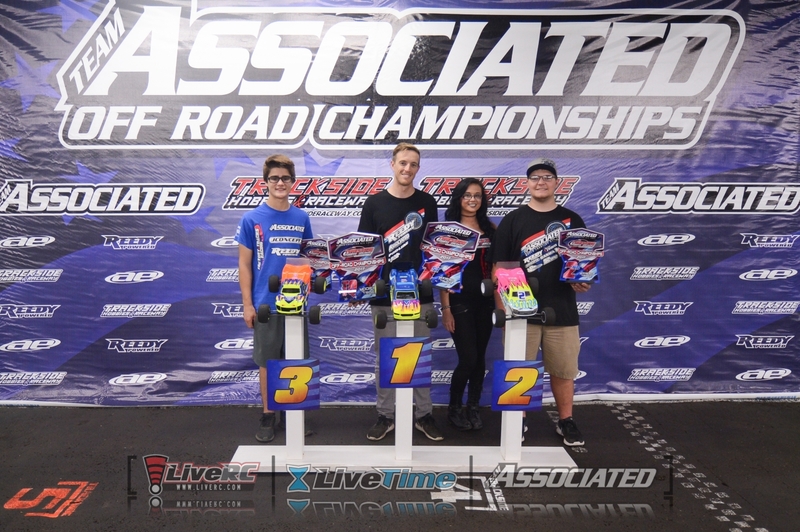 The annual event continued its tradition of drawing the fastest electric off-road racers from around the Midwest and beyond, including Team Associated stars Spencer Rivkin, Ryan Cavalieri, Dustin Evans and more. 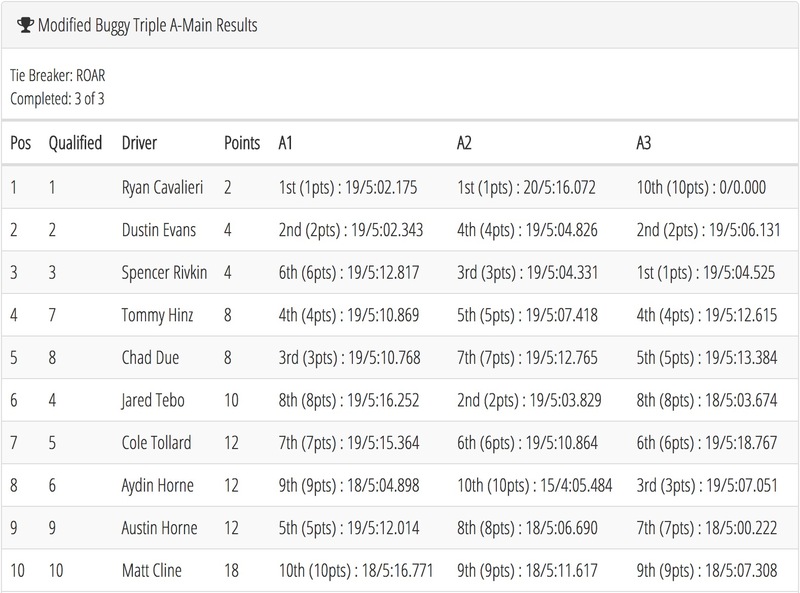 Drivers in all classes completed four rounds of staggered-start qualifying, with each drivers’ best two points scores counting toward the main event lineup. 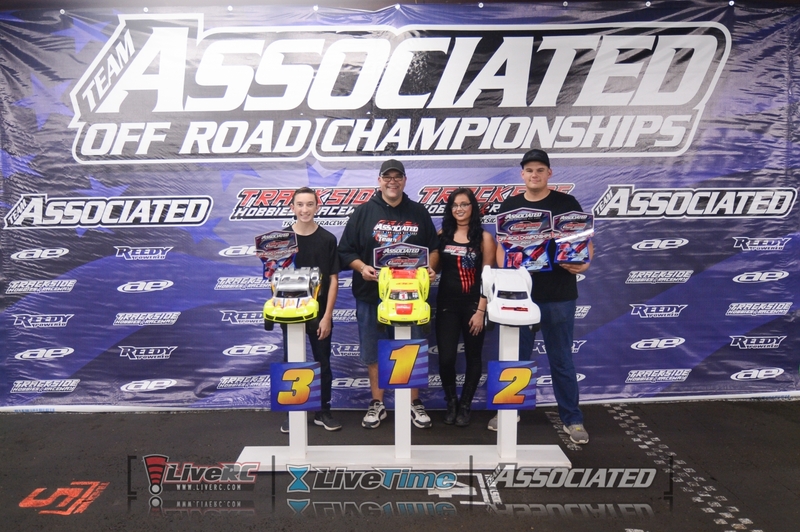 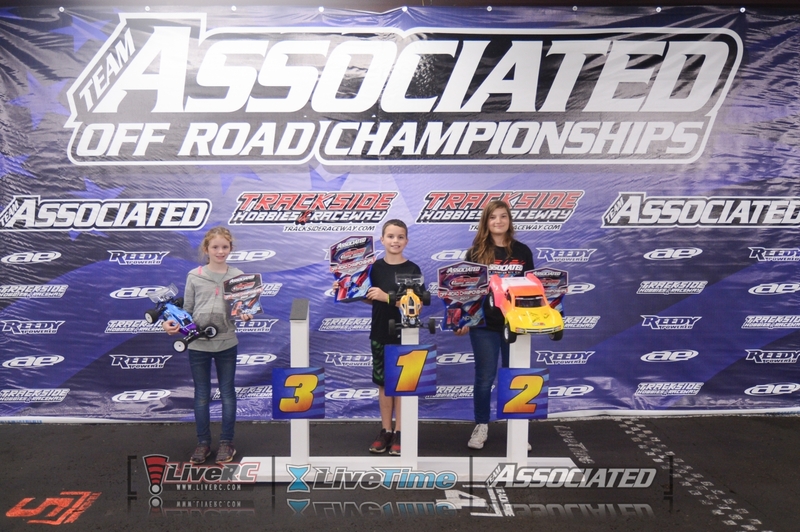 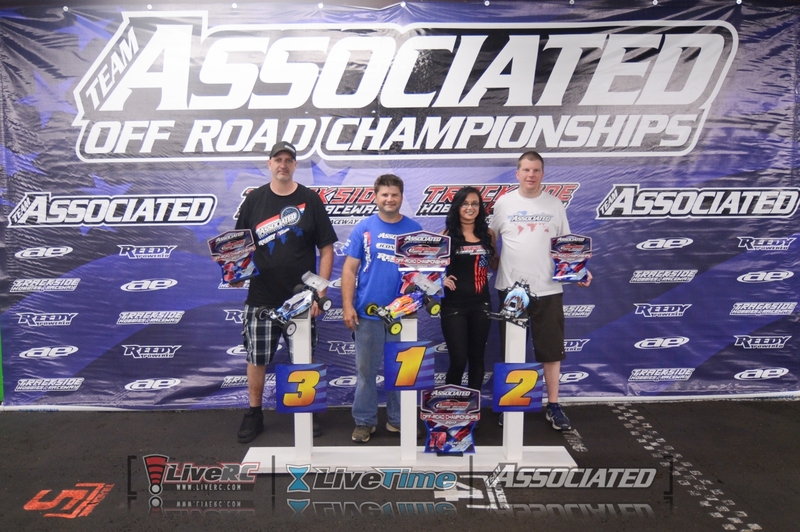 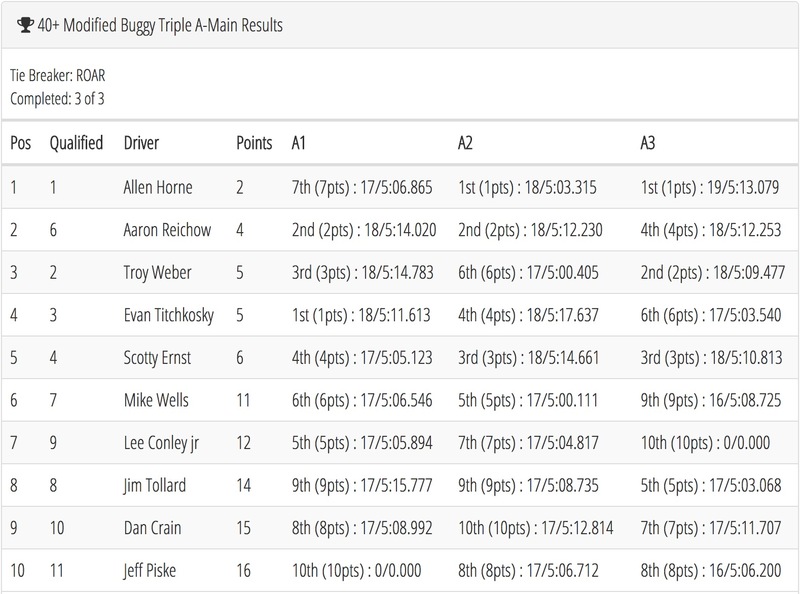 The Modified Short Course, Modified Stadium Truck, and Stock Short Course class titles were awarded by a single 7-minute main event, while all others completed a triple A-Main final to determine the top finishers. 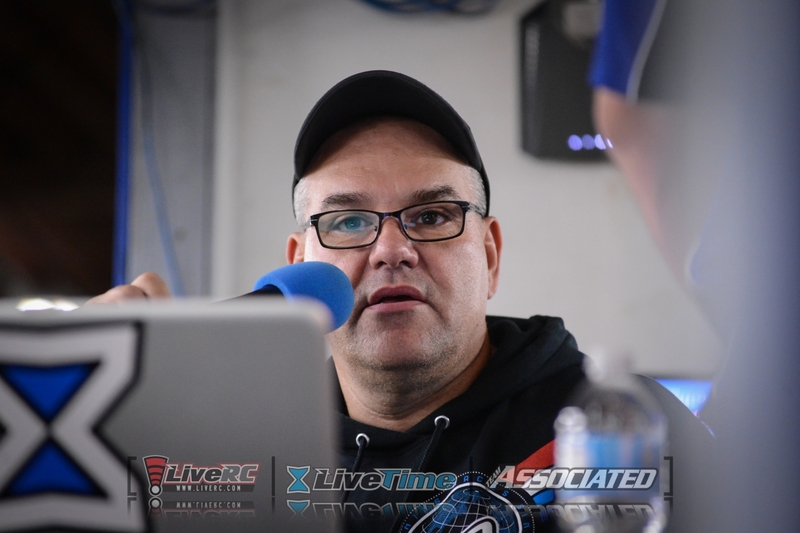 World-renowned announcer Scotty Ernst emceed the event, bringing professional flair and excitement to each and every heat. 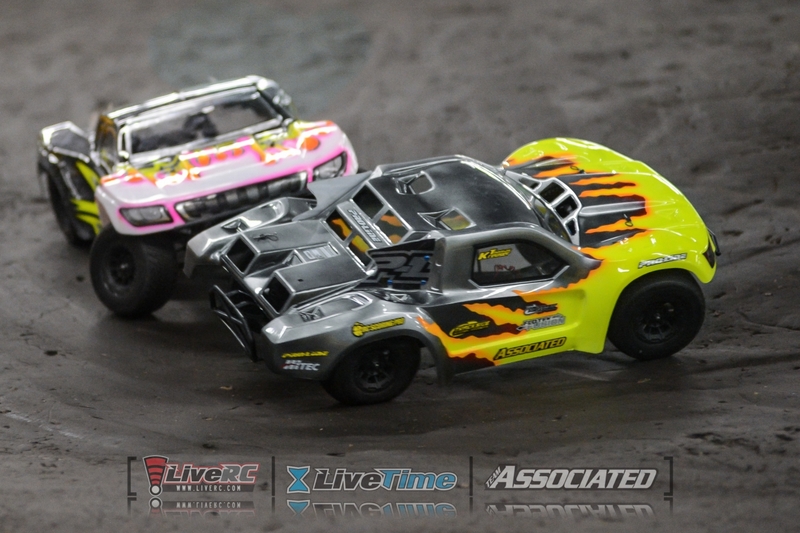 And when he wasn’t behind the microphone, he managed to do a little bit of racing himself - here he is lined up alongside his daughter, Sarah. 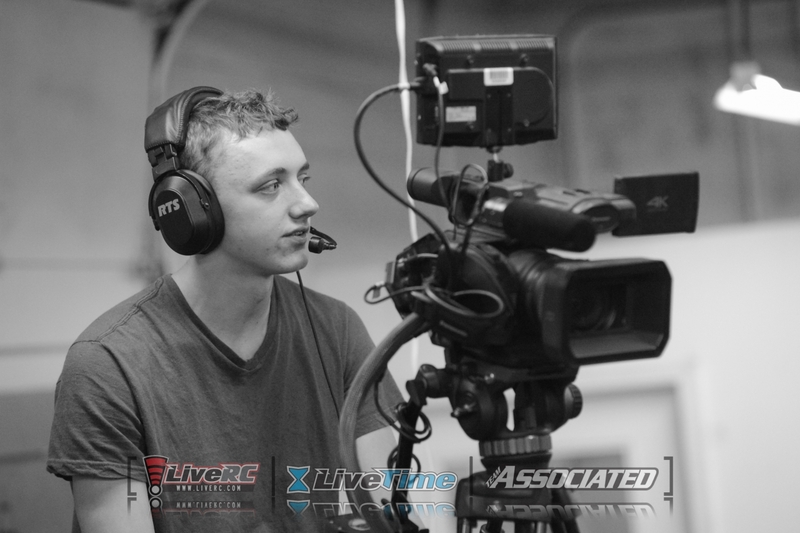 Racing fans around the world had the opportunity to tune in live this past weekend, with the whole program streamed live on LiveRC with moving cameras. 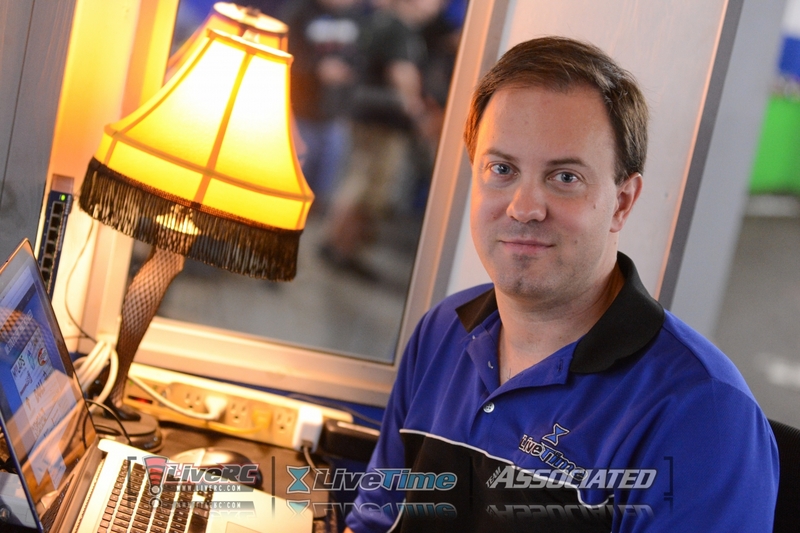 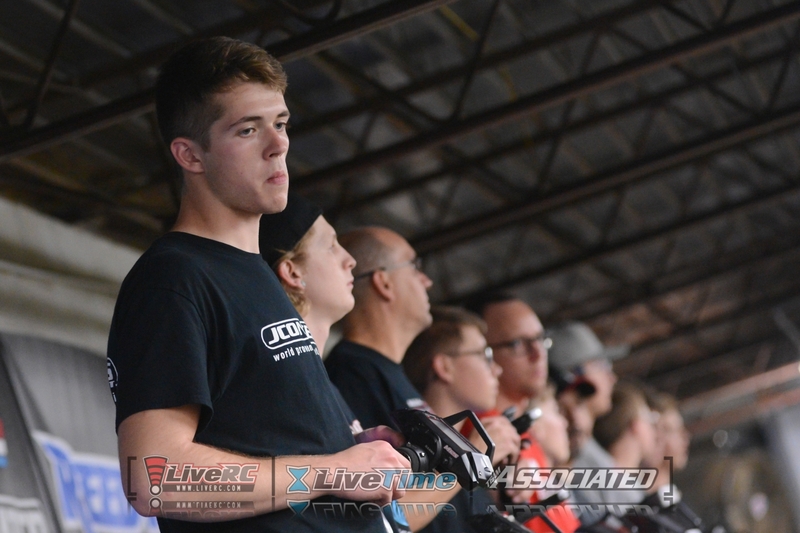 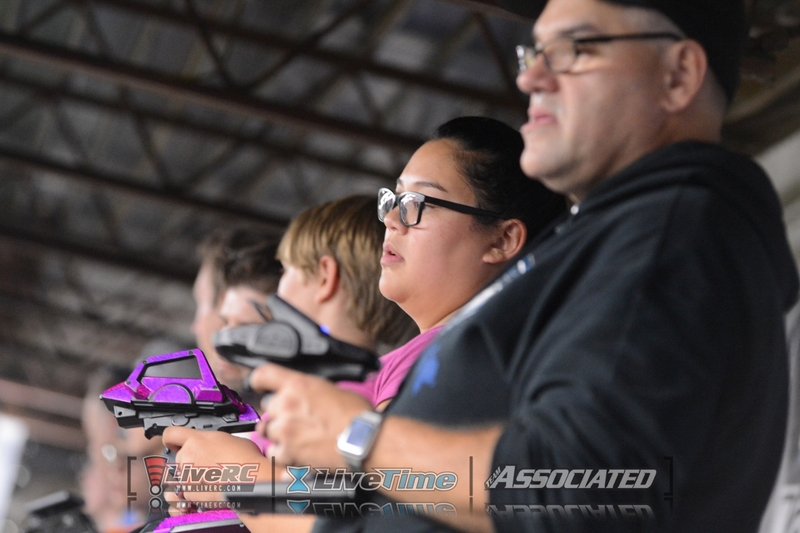 And LiveTime programmer Cory Kroll spent the weekend trackside at Trackside to ensure accurate scoring both within the facility as well as for those watching online. 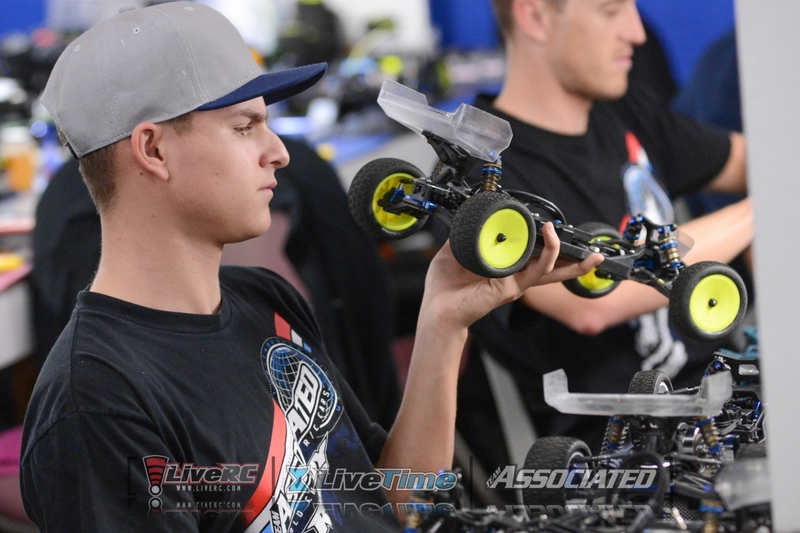 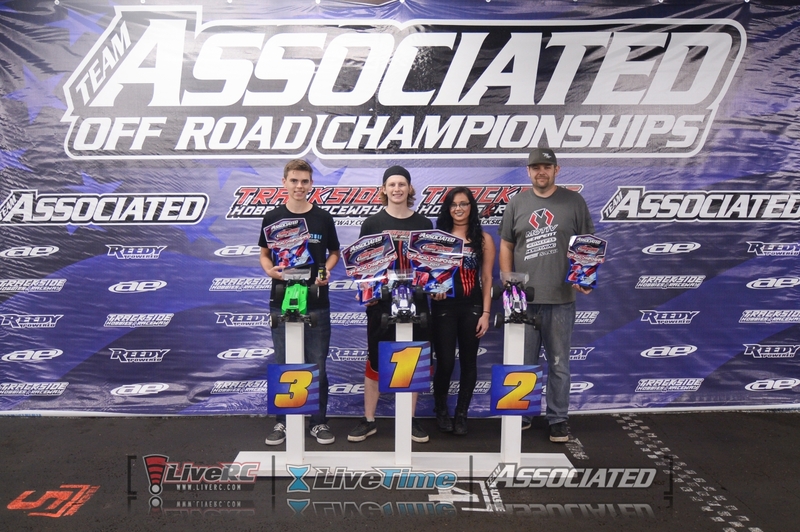 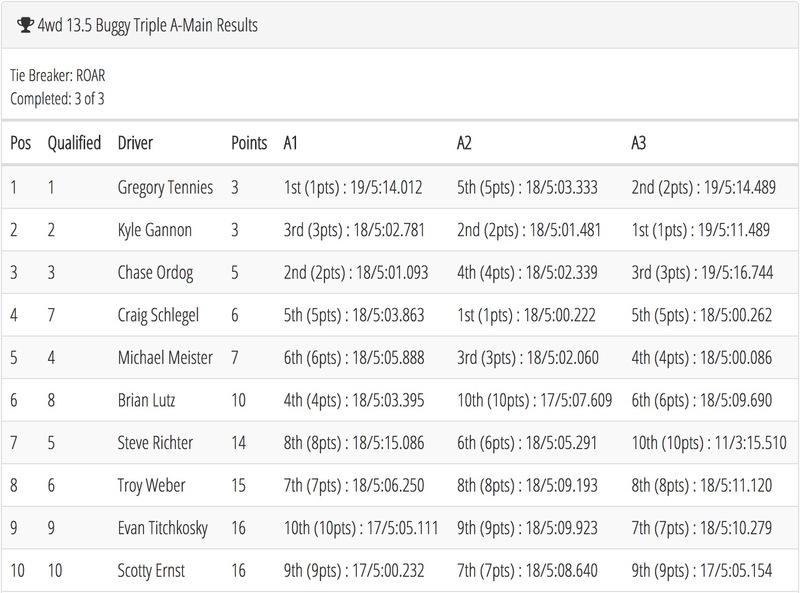 In the premier 2WD Modified Buggy class, Cavalieri topped the first three rounds of qualifying to secure the front row on the grid for the main events. 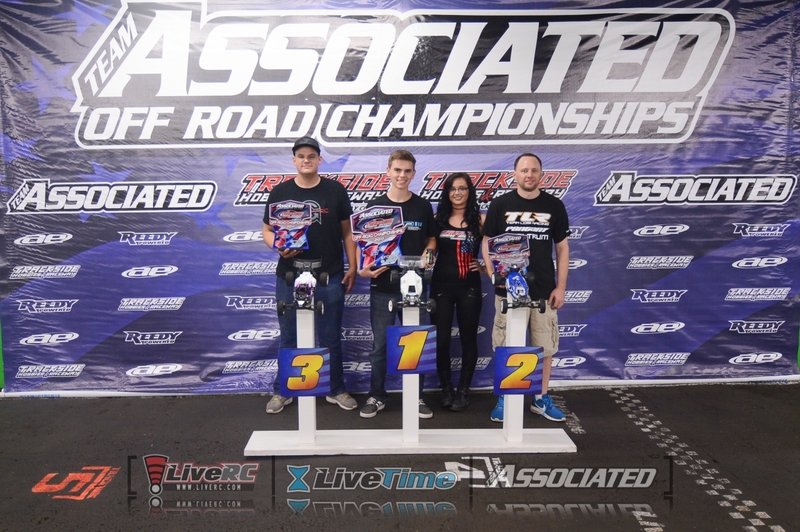 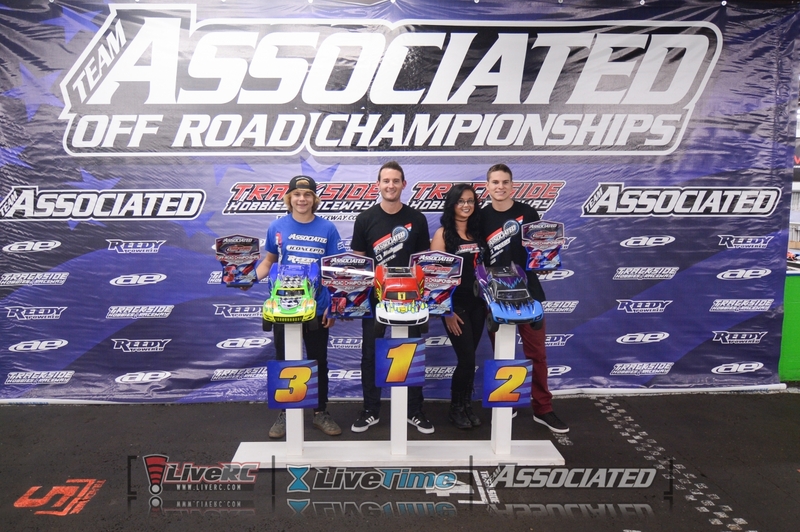 He then won the first two main events to lock up the title ahead of teammates Dustin Evans and Spencer Rivkin. 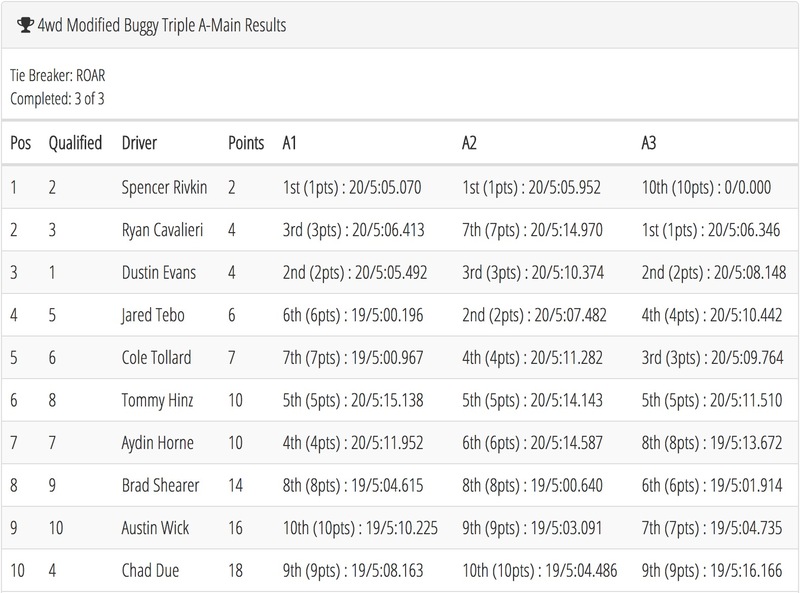 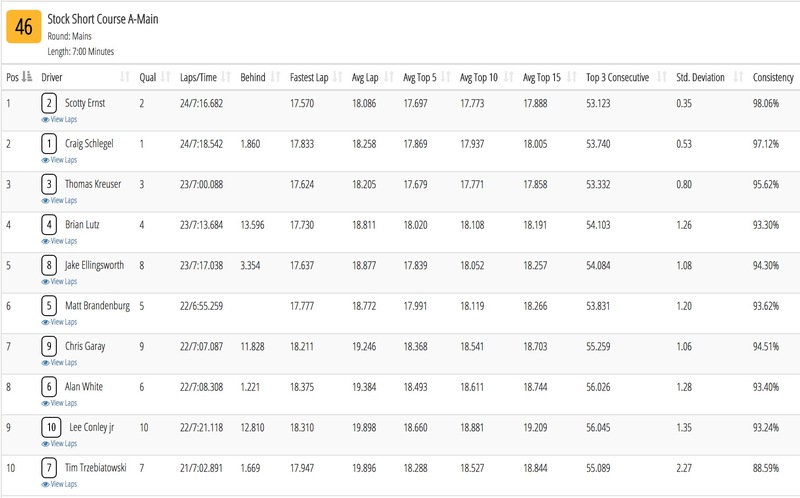 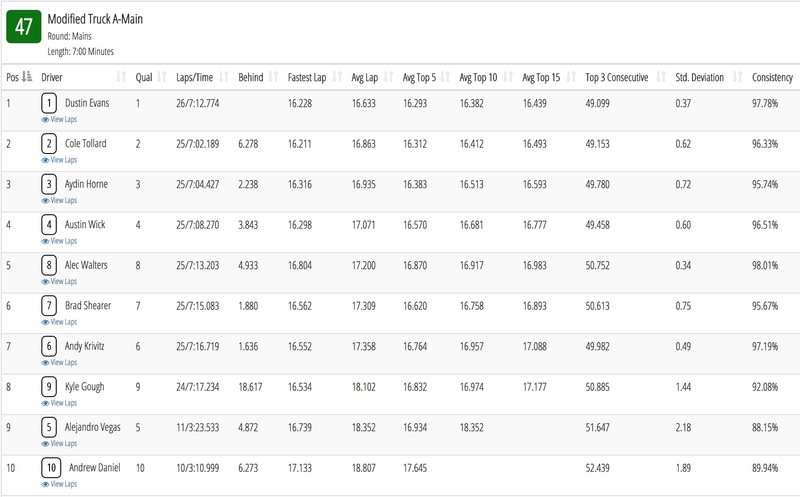 In the 4WD class, Evans set the fastest time in rounds one, two and four to earn Top Qualifying honors. 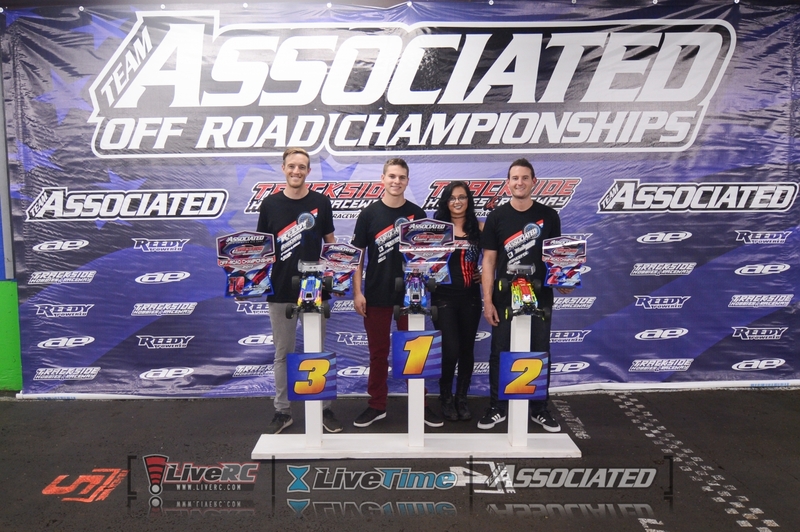 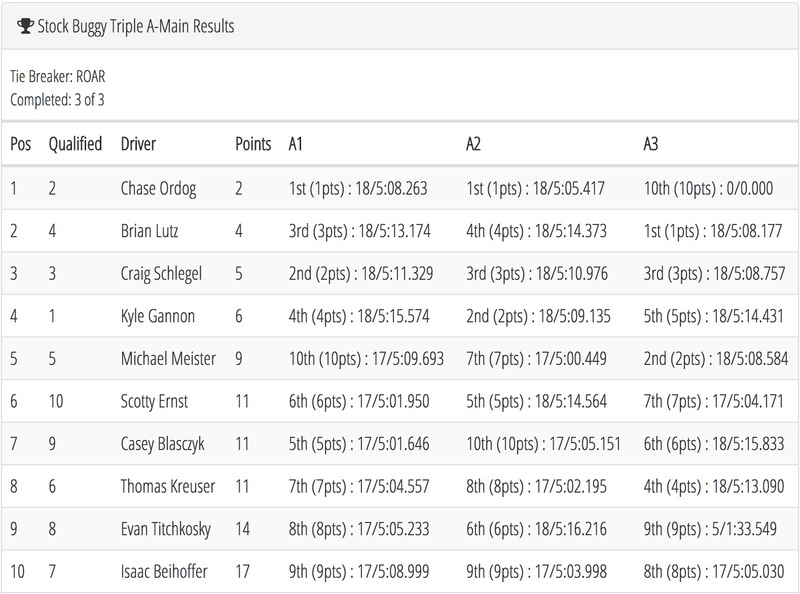 However, reigning 2WD world champ teammate Spencer Rivkin prevailed in the finals. 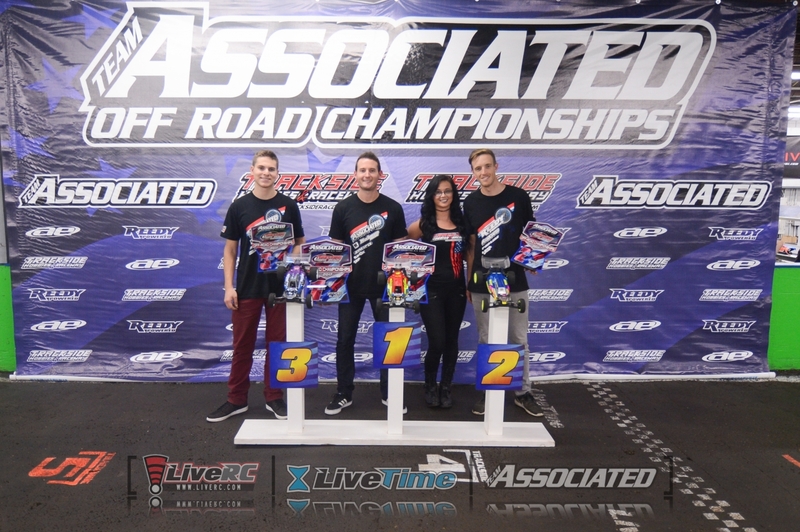 The Arizona native won the first two main events from second on the grid to take the overall victory.